Leave the neon drinks to the bars in Hoboken. A top wedding drink trend for 2016 is naturally-hued drinks like the browns and tans of a fine bourbon or a great microbrew beer, plus neutral-colored cocktails that delight the senses. 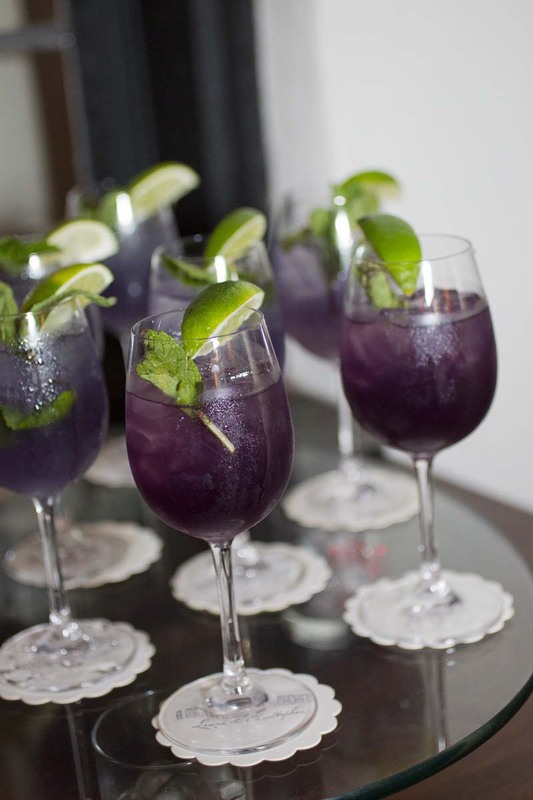 Wedding signature drinks won’t always be a bright color, although spring and summer wedding drink trends will often feature a vibrantly-hued cocktail in addition to a groom’s bourbon or Scotch bar. Put the perfect finishing touch on your wedding reception with an exquisite collection of after-dinner drinks. 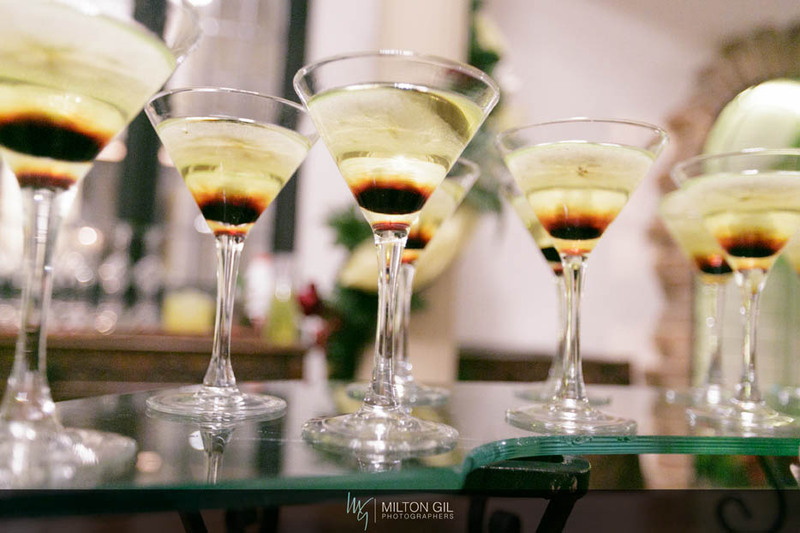 Our New Jersey and tri-state area wedding couples make it a high priority to treat their wedding guests to indulgent wedding drink menu offerings, and even budget wedding couples can enhance their wedding reception package with a list of excellent after-dinner drinks. When making your wedding guest list, you’ll have to decide if you’ll allow all of your single guests to bring a date – commonly known as a ‘+1.’ Wedding etiquette rules used to state that all single guests over the age of eighteen are to be given permission to bring a date, but today’s brides and grooms prefer to surround themselves with guests they know. To eliminate wedding stress, make it a rule that you will give a +1 only to single guests whose boyfriends or girlfriends you know and have socialized with in the past. This creates a boundary that single guests cannot argue with when you explain it politely to them. Of course, engaged couples and longtime couples must receive a +1, and it’s good form to give a single or widowed senior citizen a +1, so that he or she may bring a friend or a health aide. You’ll find, as many of our recent wedding couples do, that your single friends accept your decision and look forward to attending the wedding solo, joining all of the other solo guests in unencumbered mingling, dancing, flirting, fine dining and perhaps meeting a future romantic interest. Not every single guest is going to be offended at the lack of an ‘And Guest’ on the invitation. Some are even relieved that they do not have to find a date, nor do they have to give a more generous wedding gift check from two guests. If a guest calls to ask for a +1, simply explain that your wedding plans do not allow for additional invitations, and you wouldn’t want to offend any other guests who also requested to bring a date. If parents call to ask if their teenager can bring a friend, that too is best met with, “I’m sorry, but we can’t make any exceptions to our guest rule, since we don’t want to offend other guests who have asked to bring others.” It’s best to avoid the temptation to blame your budget or wedding venue space issues; simply place the reasoning on your boundaries and consideration of other guests. Be firm and confident in your boundaries, since one exception made by you will quickly hit the grapevine, and other guests will start calling to request their own +1s. Your wedding makes a fabulous first impression when guests are approached by smiling, white-gloved waiters presenting them with spectacular hors d’oeuvres on silver platters. As sensational as it is to welcome guests in VIP-manner, the true measure of a successful wedding cocktail party is the variety and pleasing gourmet tastes of hand-passed hors d’oeuvres. Here at the Pleasantdale Chateau in West Orange, as well as at our sister wedding venues the The Manor, the Highlawn Pavilion and the Ram’s Head Inn (the latter located in Galloway, New Jersey), we finesse our cocktail party fare to include the top appetizer menu trends originating from the world’s best regional and cultural fare, organic and imported food trends, and our own chefs’ sophisticated palates and advice on which tastes pair perfectly with others. Any fan of Top Chef knows that dishes need to coordinate, to pair well with one another, to make sense in a presentation. Our New Jersey wedding couples come to us with impressive culinary wishes and experience, and we hear equally from bride and groom about their preferences for their wedding cocktail party hors d’doeuvres list. Offer five or six hot hors d’oeuvres at the cocktail party, no matter the season. Offer exotic flavors such as Moroccan chopped chicken salad on garlic toast and Thai curry samosas with tamarind dip. Offer unique twists on meat appetizers, such as hangar steak on brioche crouton with a shallot marmalade or an andouille sausage en croute. Offer unique twists on non-meat choices such as fontina cheese, asparagus tips and mushroom Panini. Include gourmet cheese options such as hors d’oeuvres made with Camembert, Fontina, and Brie, since wedding guests adore palate-pleasing bites of tasty cheeses they might not buy for their own meals and parties. Seafood appetizers are a top trend, including wedding classics such as Maryland crab cake, scallop Rockefeller and sautéed shrimp – again, crowd-pleasers to guests who may not prepare gourmet seafoods for themselves. Risotto dishes are also a top trend right now, with lobster risotto requested often by our New Jersey wedding couples. Offer tasty cold bites served on ceramic spoons, such as our red snapper ceviche with pink grapefruit and cilantro. Offer creative seafood salad spoonfuls or toast-toppings, such as a crab salad with apple and chive. Tartlets are easy-to-enjoy appetizers, with guests enjoying cheese flavors such as our artichoke, goat cheese and black olive tartlet. Hand rolls and vegetable sushi hors d’oeuvres please guests who enjoy fresh and healthy appetizers, and the trend is for unique twists on hand rolls – such as our smoked salmon and avocado cream cheese hand roll. Pair your hot and cold hors d’oeuvres with gourmet dipping sauces, such as creamy ginger sauce or mango dipping sauce. Make it easy for guests to help themselves to appetizers, offering them on ceramic spoons or with appetizer spears or picks. Choose colorful dishes, such as those topped with bright green herbs or dots of sauces. Have wait staff offer cocktail napkins printed with your married initial monogram as a fine, personal touch to your cocktail party menu presentation. and the Ram’s Head Inn have been home to countless wedding rehearsals, and we’ve seen the glowing bride and groom prepare for the biggest day of their lives. Who’s invited to attend this very important practice run? We have the wedding etiquette-approved list of who needs to be there…and who isn’t. First, obviously, the bride and groom need to be present, so that they can not just learn what will happen during each section of the wedding ceremony, but so that they can co-create the personalized ceremony of their dreams. Today’s bride and groom have a voice at their wedding rehearsal, sometimes switching the order of ceremony elements, re-pairing bridesmaids and groomsmen and otherwise designing the most important part of their wedding day. Next, the bridal party members, and their guests, are invited to the rehearsal dinner. Bridesmaids and groomsmen need to learn where they’ll wait, how they’ll walk down the aisle, what they’ll do during special moments of the ceremony, and how they’ll participate in the recessional. The maid of honor will learn when she’ll need to adjust the bride’s train, hold her flowers, and otherwise be at her service. Why the bridal party guests? According to wedding etiquette, it’s proper to invite them to the rehearsal dinner, so it just works out conveniently to let them attend the wedding rehearsal itself. Child bridal party attendants, flowergirls and ringbearers, are also invited, along with their parents, so that the little ones can practice how they’ll walk and where they’ll stand, so that they’re comfortable and confident in what’s expected of them. The wedding planner is invited, if you’ve hired one, and may be the person in charge of instructing everyone on each element of the ceremony. 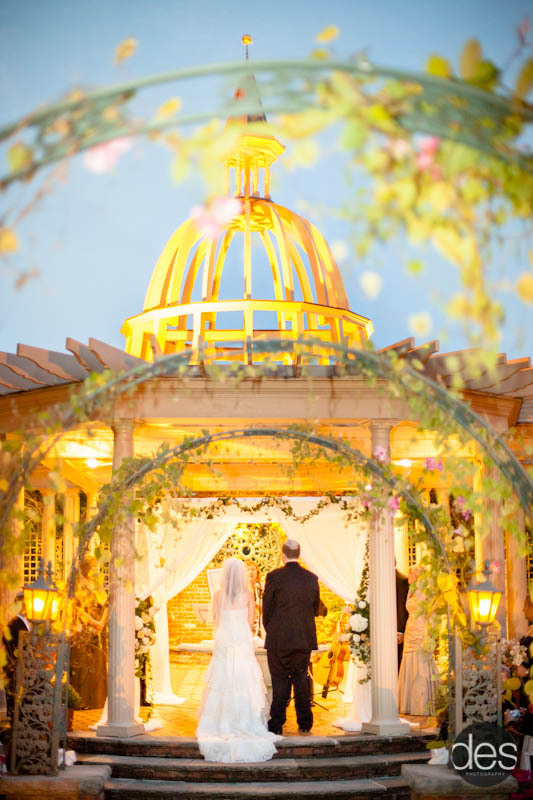 The officiant and his or her guest will obviously be there as well, to guide the proceedings and to work with the bride and groom in adjusting any wording, the vows, or other special portions of the ceremony. Musical performers may also be invited to the wedding rehearsal, although that’s not a Must. Your musicians may require that they attend the rehearsal, so that they can learn the cues of when they’re playing during each portion of the ceremony, so ask your musical experts what their rehearsal policies are, and what you may have to pay them to attend. Ceremony participants, such as those performing readings or cultural rites, are smartly invited to the wedding rehearsal, so that they too learn when they’ll be expected to stand up and walk to the microphone, and so that they can practice speaking their material on-site. Parents and grandparents are also invited to the rehearsal, as a special event to witness, as are additional special family members. The smaller the circle of people at the wedding rehearsal, the more efficient the practice session will be, and the sooner you can all get to your lovely rehearsal dinner.